Power King Valve Regulated Lead Acid batteries are designed with AGM technology, high performance plates, and high performance electrolyte to generate extra power output for common backup power supply applications. Widely used in the field of UPS and Emergency Lighting. This 12 Volt 7Ah battery is an excellent value. Shipping (1) 12 volt 7Ah battery from south florida. This PowerKing 12 volt 7Ah Battery is a quality alternative to your OEM replacement 12 volt 7 Ah battery at a fraction of the cost. All of BatteryPete PowerKing or PowerSonic SLA batteries shipping from south florida in sizes ranging from 5Ah to 75Ah offer similar performance curves in laboratory tests. So why pay more? Replace yours today with a PowerKing or PowerSonic 12v 7ah Battery and have peace of mind knowing it will deliver the power requirements your device needs again and again. Battery fact for the day is the term SLA. What does it mean? SLA is short for Sealed Lead Acid. Meaning basically these batteries are totally sealed and can be shipped common carrier directly to your front door. SLA batteries in general are found in a wide range of applications from alarm systems, emergency lighting, medical devices, generators and even kids toys. 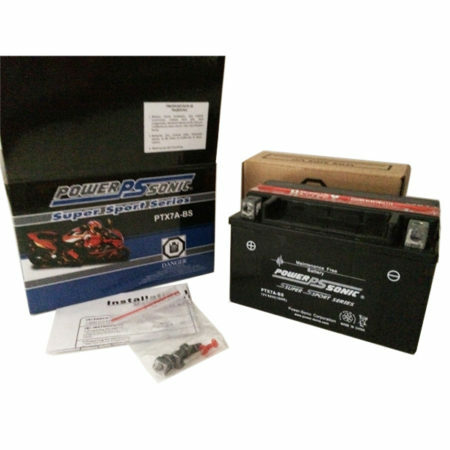 PowerKing 12 volt 7Ah battery will usually ship within 1 Business Day. Based on location, delivery typically takes 1-3 Business Days. Be the first to review “12 volt 7Ah Battery – F1 1270” Click here to cancel reply.